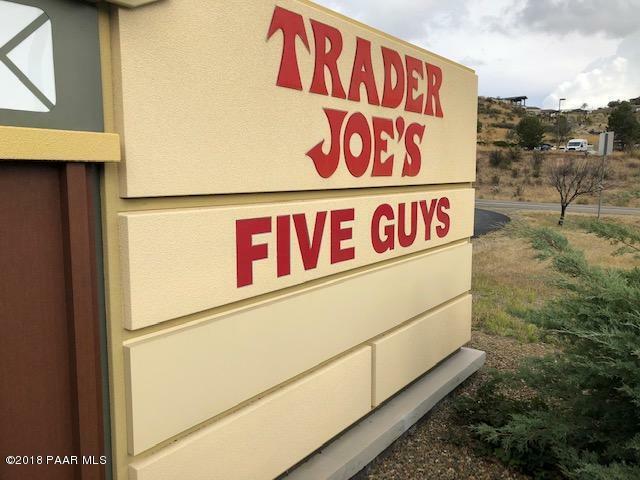 Trader Joe's anchored shopping center Shops at Prescott Gateway (the Center) is located at 250 N. Lee Blvd is situated along Highway 69 in front of the Prescott Gateway Mall.The property is in the heart of the Tri City offering excellent demographics and draws customers from Prescott, Prescott Valley and all of Northern Arizona. Nearby Highway 69 retailers include Prescott Gateway Mall, Ashley Furniture HomeStore and Wildflower Bread Co., Costco Wholesale, PetSmart, Walmart, In-N-Out Burger and a 100-unit apartment complex with several custom home subdivisions to the north, south and west of the Center. Traffic counts are in excess of 30,000 vehicles per day along Highway 69, the Center offers excellent monument signage, visibility and approx. 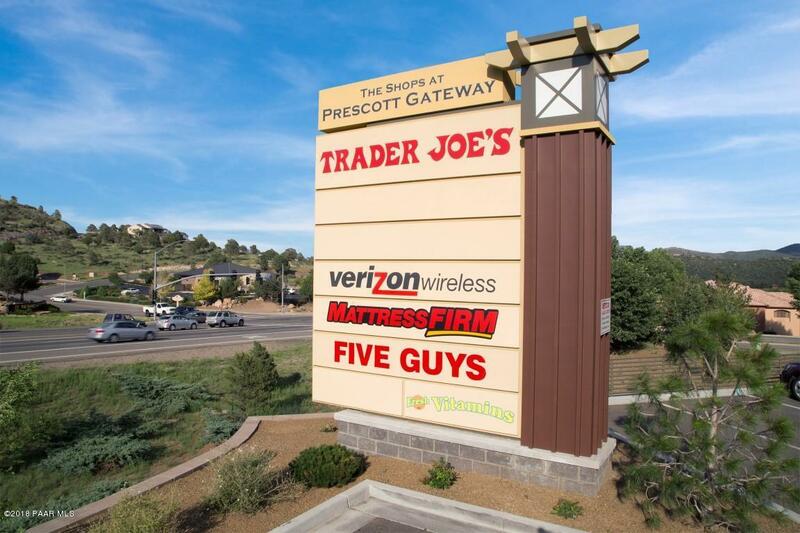 200 on-site, CLICK the MORE TAB...Trader Joe's anchored shopping center Shops at Prescott Gateway (the Center) is located at 250 N. Lee Blvd is situated along Highway 69 in front of the Prescott Gateway Mall. The property is in the heart of the Tri City offering excellent demographics and draws customers from Prescott, Prescott Valley and all of Northern Arizona. 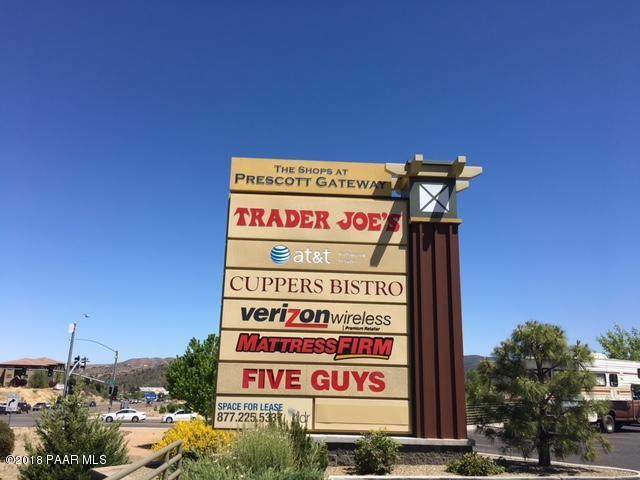 Nearby Highway 69 retailers include Prescott Gateway Mall, Ashley Furniture HomeStore and Wildflower Bread Co., Costco Wholesale, PetSmart, Walmart, In-N-Out Burger and a 100-unit apartment complex with several custom home subdivisions to the north, south and west of the Center. Traffic counts are in excess of 30,000 vehicles per day along Highway 69, the Center offers excellent monument signage, visibility and approx. 200 on-site, non-exclusive parking spaces. Available Suites for Lease include Suite 100 = 3,000 sf; Suite 102 = 3,000 sf; Suites 100 & 102 = 6,000 sf; Suite 116 = 2,500 sf. Lease rates are $20/sf/year plus NNN's estimated at $6/sf/yr. TI's negotiable. Suite 102 was formerly Cupper's Coffee and consist of approx. 3,000 sf of restaurant space for lease in addition to an outdoor patio that seats 70 persons. The space is improved with approx. 1,000 sf back of house kitchen area that includes a 20 foot type 1 hood system, a combination walk-in refrigerator/freezer, hand sinks and floor drains etc. Suite 100 was formerly Pets Club and consist of approx. 3,000 sf of retail space for lease and offers a wide-open floor plan, two ADA restrooms and a private office. Both Suites 100 & 102 are adjacent to each other and can be combined to accommodate a 6,000 sf retail use. Suite 116 was formerly Fresh Vitamins and consist of approx. 2,500 sf retail space for lease and offers a wide-open floor plan and one ADA restroom and is located immediately adjacent to Trader Joes.